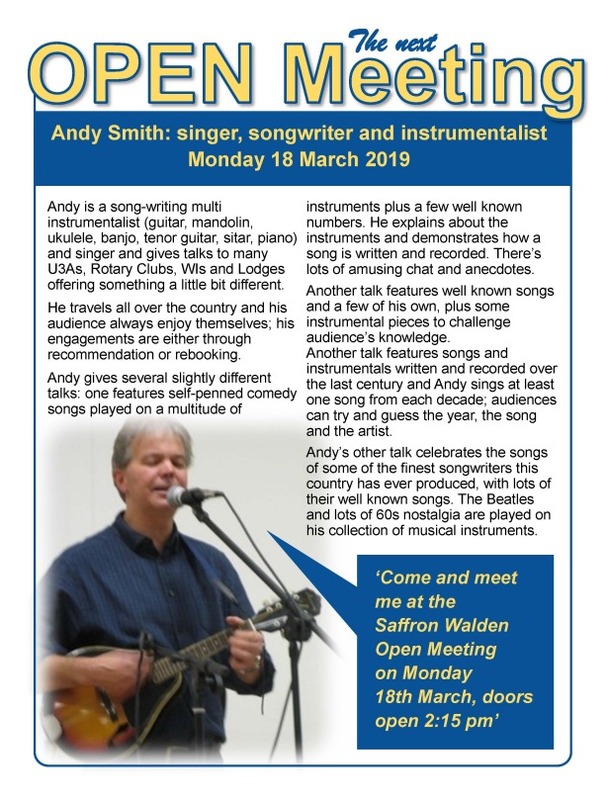 OPEN MEETING – Talk by Andy Smith, singer songwriter and instrumentalist – 2.30pm on 18th March 2019 at the Bowls Club in Abbey Lane. The doors will open at 2.15pm and tea/coffee and biscuits will be available at 2.30pm BEFORE the speaker starts. Andy Smith: singer, songwriter and instrumentalist. 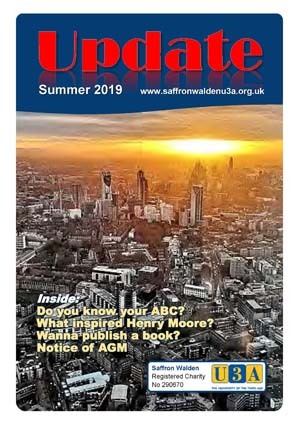 Come and meet Andy at the Saffron Walden U3A Open Meeting on Monday 18th March – doors open 2:15 pm. 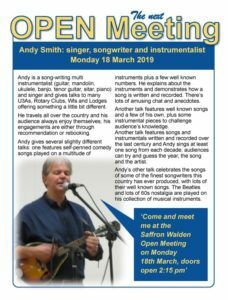 Andy is a song-writing multi instrumentalist (guitar, mandolin,ukulele, banjo, tenor guitar, sitar, piano) and singer and gives talks to many U3As, Rotary Clubs, WIs and Lodges offering something a little bit different. He travels all over the country and his audience always enjoy themselves; his engagements are either through. Click on the image on the right for more information.